Blade length : 40.2 cm or 15.82 inches. 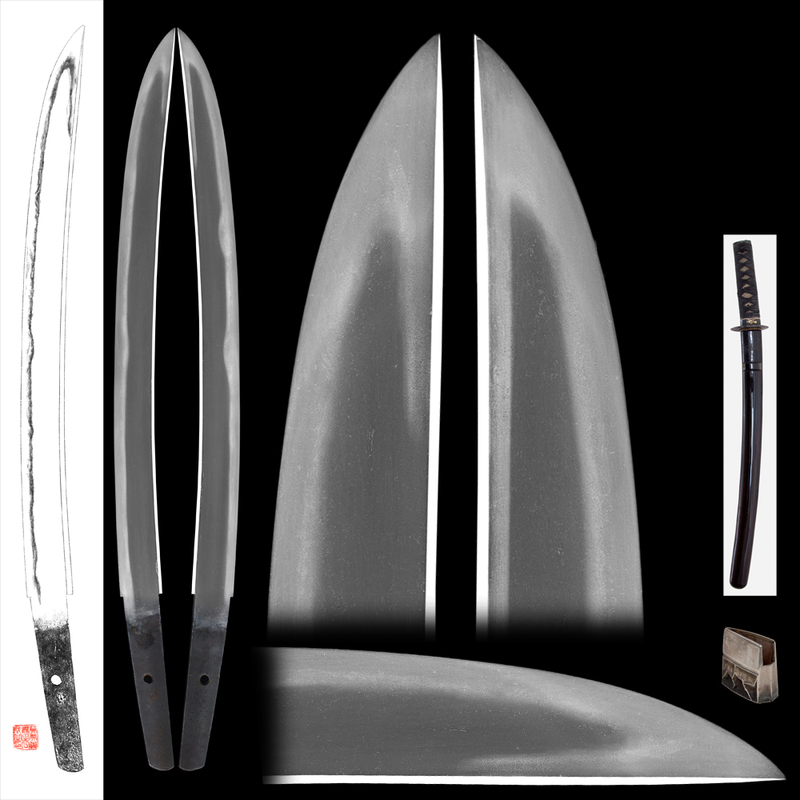 Shape : The blade is longer with sakizori style healthy blade which is called Sunnobi tanto. Jitetsu : Itame hada with mix of mokume and there are jinie attached. Hamon : Nie deki suguha based with deep nioiguchi with gnome midare. There are active kinsuji and sunagashi on the ha. The kissaki is brushed up. 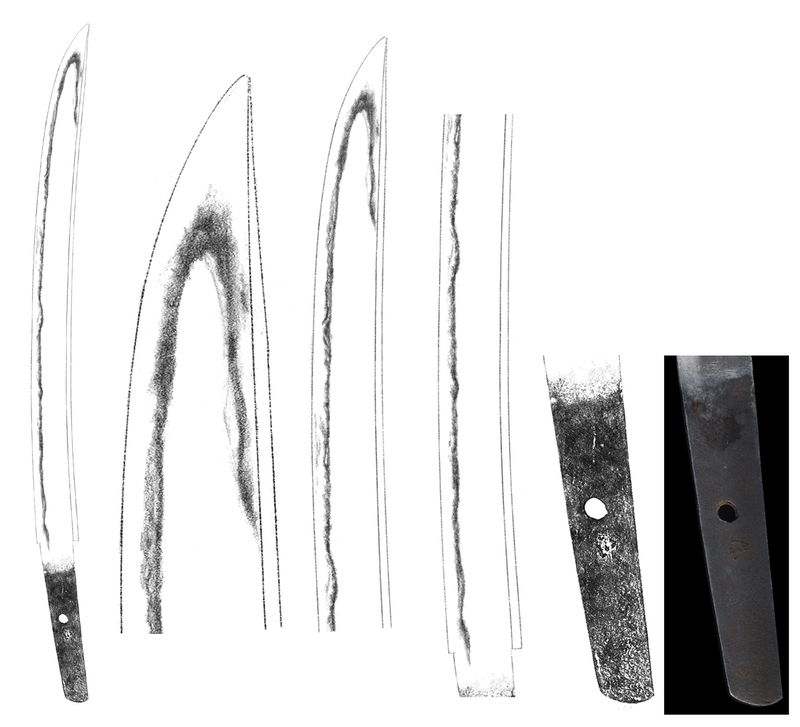 Special feature : Ganmaki Ujinobu is the sword smith from Muromachi Daiei period to Edo period. This piece can be observed as first generation from its quality. There are active kinsuji sunagashi on the ha so it will not disappoint you. At first glance, you may found this as Soshuden piece. On the Ji, munemachi area, there is a small kiss but not serious. Tsuba : Iron Tsuba kiku（chrysanth） flower style. Fuchikashira : On the shibuichi plate, a holk and waves are engraved with gold color. Saya : Dark brown red color.